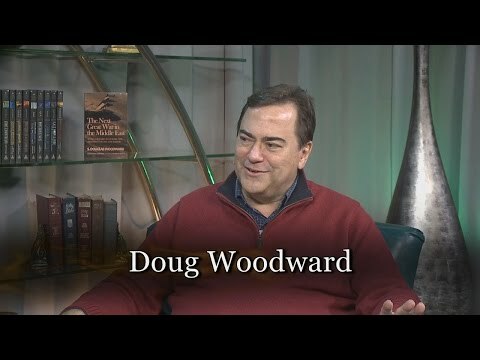 DOES THE ANTICHRIST RULE THE “WHOLE-WIDE WORLD” OR JUST THE MIDDLE EAST? 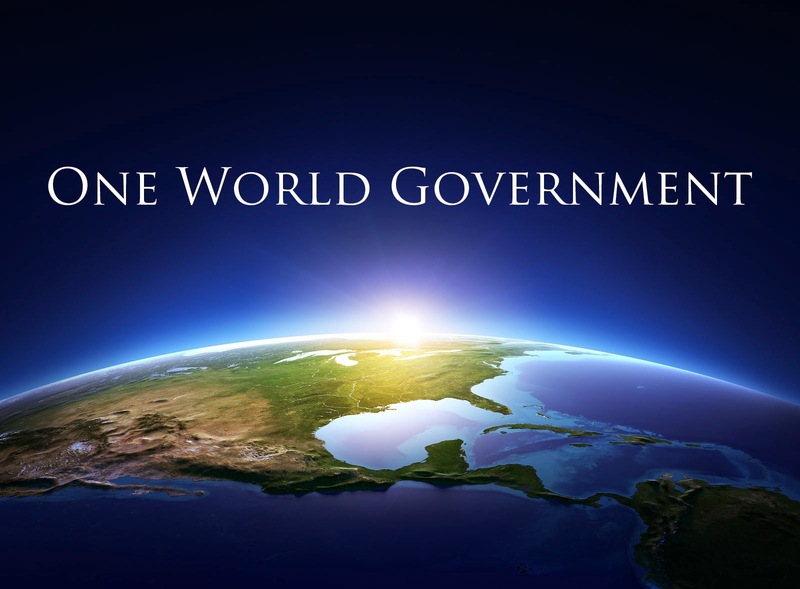 Will Antichrist Lead a One-World Government that Controls the Entire Globe? 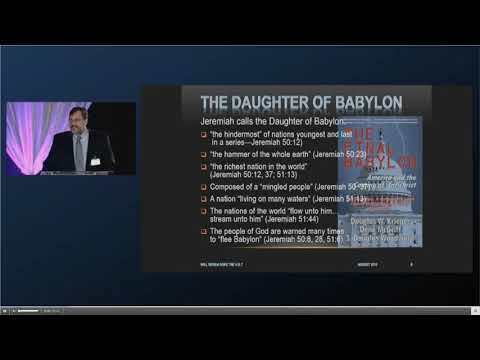 DOES ANTICHRIST RULE THE WHOLE-WIDE WORLD OR JUST THE MIDDLE EAST? One of the core issues I have with the Islamic Antichrist Theory is that the Antichrist allegedly only takes control of the Middle East — not the whole world. This makes a big difference in evaluating the relevancy of Bible prophecy to the United States, Russia, China, India, Japan, etc., in other worlds, the most powerful and populous nations on the globe. If the “world” that the Antichrist rules is just the Middle East, Bible prophecy is not very relevant to most people in the world. I think that’s a problem. In other words, Islamic Antichrist Theory (IAT) sees the scope of the Bible’s last days’ prophecy as a regional, not a global phenomenon. This position is pegged on the somewhat common, but in my view academic cliché, that “the Bible is a Jewish, Mediterranean book” (presupposing Jewish concepts and Greek ones are highly incompatible). Therefore, it’s as if the Bible only professes truths pertinent to a geographical area running about 1,000 miles in all directions (a radius extending) from Jerusalem. (1) “Nation” is the Greek ethnos, which simply means “a race, a people of a particular nation” like the Samaritan nation or people (Acts 8:9) or the Jews (Acts 10:22). Compare also the seven nations of Canaan (Acts 13:19), nation rising against nation (Mark 13:8). It may also be used in the sense of “foreigners” as an equivalent of the Hebrew goyim. It was actually used in Rome of the foreign people in contrast to Italians. So in the New Testament it is sometimes used in the sense of heathen, Gentiles, pagans in contrast to the Jews who had the promises of God (cf. Matt. 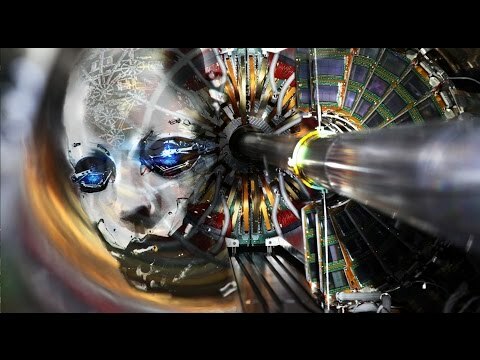 10:18). Further, it is used of Gentile churches which would mean churches made of primarily non-Jews of many different nations like Greek and Italian, etc. Ultimately, the context must be carefully noted. (2) “Kindred” or tribe is phule mean “a tribe” or “a nation, people.” Again context is the issue. It is used of the twelve tribes of Israel or of a specific tribe of Israel (Rev. 7:4; Heb. 7:13), but it may also be used of a nation of people (Matt. 24:30; Rev. 1:7). In some cases it would, because of its combination with other synonyms, perhaps focus on smaller groups within a particular nation of people. (2) “Tongue” is glossa and means “a tongue” or “a language” and as such, becomes a synonym for a group of people distinguished by their particular language or even dialect. This topic deserves a study on its own to counter the overemphasis upon Jewish roots in our day with its antagonism toward Christian holidays over against Jewish holy days. I will but barely touch on my reaction here. Mistaken Identity: The Case Against the Islamic Antichrist is available at Prophecy in the News and Southwest Radio Church as well as Amazon.com. The ebook is available on Kindle for $6.99 and iBooks, Nook, and LuLu for that price or slightly more. This weekend, the prequels to the book, The Next Great War in the Middle East and Is Russia Destined to Nuke the U.S.? are ON SALE. The Next Great War is also only $6.99 and Is Russia Destined is on sale for only $4.99. You can also find bundled pricing for my paperback books at Prophecy in the News bookstore. My author page at Amazon has all my books of course. Here is the link for my books at Amazon. IAT justifies its parochial perspective on the undeniable facts that the Bible was (1) penned almost exclusively by Jews, (2) pertains to the history of Jews, and (3) considers Jerusalem to be the center of the world. But do these facts demand that we interpret biblical eschatology only from the standpoint of Jews living in the time of Christ, of even earlier, in the time of the Prophets? If so, should we also understand the Gospel only from the standpoint of the Jews? If you answer affirmatively, I would like to call the Apostle Paul to the witness stand. He might have a different viewpoint. But since Paul no longer resides in these here parts, we must obtain his opinion from the Book of Galatians to put “Jewishness” in perspective regarding our Christian faith. “Having a Jewish mindset” does not sanction conceptions or ideas that conflict with the revelation given to the Church and written in Koine Greek; just as “thinking like a Greek” does not overturn the plain teaching of the Law or the Prophets written in Hebrew. 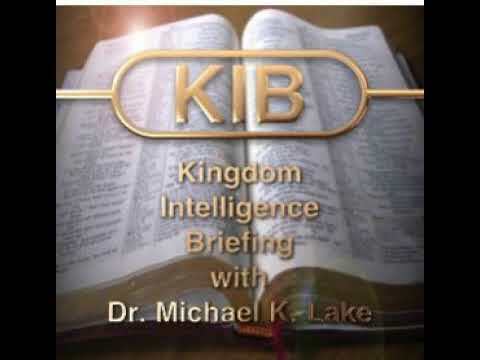 Neither should interpretations of Bible prophecy be judged out of bounds because they are lie beyond Israel’s borders. The Hebrews regarded their principal enemy literally and symbolically as Babylon in Iraq, which existed less than one thousand miles from Jerusalem. But distance had nothing to do with it. If the Jews have enemies today about whom the Bible prophesies it matters not how far away those enemies might be. The issue is relevance to the Jewish nation. Prophecy knows no distance. The four empires of Daniel 2 and 7 were those that had dominion over Israel, concurrent with or just after the time of Daniel and Ezekiel. Empires outside of the region are of no concern only because they had no influence on Israel. 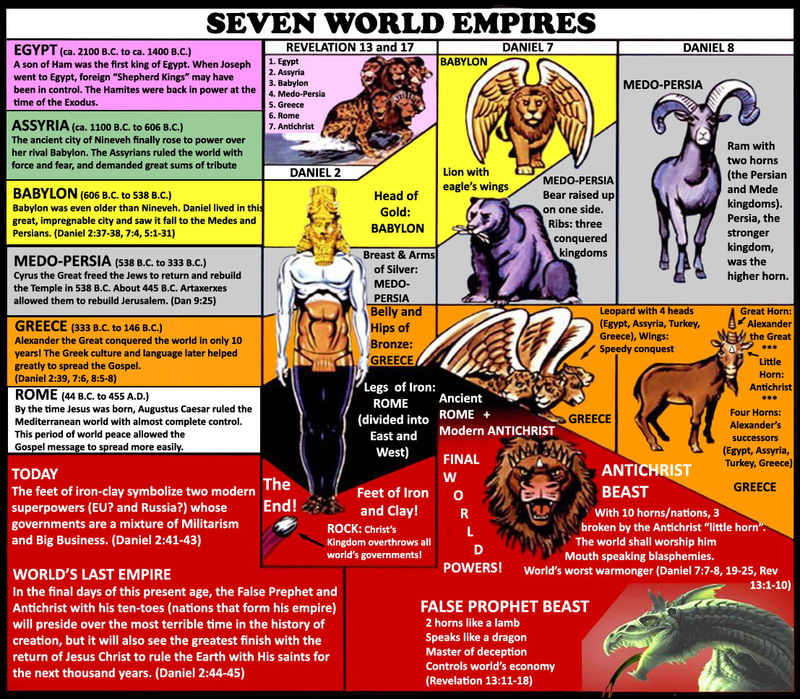 Indeed, it is quite true that the list of Empires in Revelation 17 includes a list of seven empires, (plus the eighth, the Antichrist who is really just one of the seven) which are those that have in the past or in the future directly dominated (of will dominate) the Jews. As a nation, the Ottoman Empire had no direct influence. When it reigned, the Jews were “not at home.” That was not true for the other empires Daniel mentions. Even more should this principle hold true for the timeframe that Jesus was on the earth. If we dismiss Rome, the empire ruling over Judea when Jesus lived there, and replaced it with an empire that had no influence over the Jewish nation when it dominated the region, of what relevance is that to Bible prophecy? Virtually none. IAT theorists reject Rome as one of the four empires mentioned in Daniel, to make room for the Ottoman Empire to be included as the fourth empire in Daniel’s vision. From a hermeneutical standpoint, this requires some exegetical gymnastics since IAT theorists assert Daniel doesn’t intend Rome to be his fourth empire; and yet John does include Rome in his list of seven (eight) empires (number six, the one that “is” following after the five that have fallen). This then leaves another empire yet to arise, i.e., the seventh. And the eighth is Antichrist. Yet John tells us the Antichrist is really one of the seven or composed in part from all seven. If true, the question is why Daniel would leave Rome out. After all, he could have had five empires instead of four. But he only talked about four. From my perspective, the response from IAT seems somewhat contrived. IAT argues that Daniel’s fourth beast was the Ottoman Empire, primarily because that Empire had a larger area of control than any of the other empires Daniel mentions. From Shoebat’s/Richardson’s viewpoint, because Islam was more spread out at its peak across greater landmass, IAT contends this bigger land mass constitutes what was meant by Daniel saying, it “crushes all the others”. That is, however, not necessarily so obvious to readers that approach the argument “in neutral”. 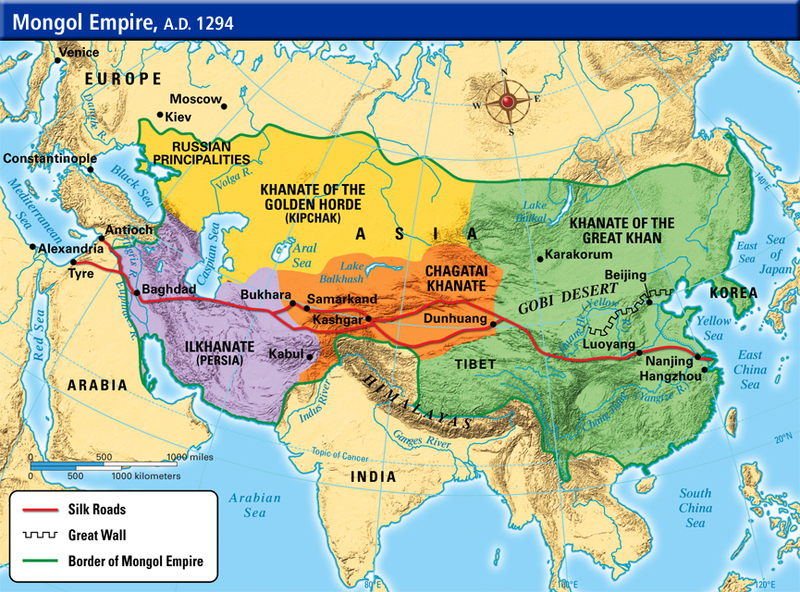 Additionally, as the map below demonstrates, if land mass comprises the biggest/baddest empire, the Mongol Empire was bigger still. IAT also suggests that the Muslims deserve to replace Rome because Muslims are much meaner than the Romans ever were. We know that Rome beheaded its enemies as well as crucifying them – crucifixion being the cruelest form of death as it lasts for days – especially compared to beheading which lasts but a few seconds. Being a citizen of Rome, Paul was beheaded (perhaps along with dozens of the Praetorian Guard whom he converted to the faith while in the ancient Roman Mamertine Prison). Arguing who is crueler between ancient Rome and current-day jihadists, amounts to a debate that neither deserve to win. Methinks it all depends on whether the one who judges personally experienced both forms of death in order to make a fair comparison. That being impossible, it’s best to condemn them both as “cruel and unusual” as befits Americans. It is true that in land area, the Ottoman Empire exceeded the empire of the (1) Medes and Persians, (2) the Greek Empire of Alexander and his four successors, and (2) the Roman Empire. Of course, I would point out that the “Greco-Roman Empire” could be distinguished (from a cultural perspective) as longer lasting while the Holy Roman Empire could be argued as greater since it had both political and religious components (both priests and kings) which lasted 1,000 years plus eight, from the coronation of Charlemagne in 800 A.D. until Napoleon’s defeat in 1808. And the effects of the latter two, in many respects, has held sway globally more than any of the other empires (including the Ottoman). Here I am speaking in terms of architectures, laws, and customs as standards for almost the entire world, not just Western Europe and the United States. So is Islamic Antichrist Theory right to interpret Daniel’s fourth empire as the Ottoman Empire and leaving the Roman Empire completely out of the picture? Hardly. Depending on what constitutes an empire, the Ottoman Empire of the Turks lasted between 700 to 1,000 years. More commonly, scholars state its beginning commences with Osman 1 (1259-1326, from which the name Ottoman was derived), when it gained control of the region known as Anatolia (today’s Turkey). Its story actually began two hundred years earlier while the group only a small tribe in the Asian steppes. This then unremarkable tribe originated as a shamanistic-oriented people (pagan/occultist), eventually converting to Islam. The Seljuk, a powerful Islamic tribe that had “settled down” instead of remaining nomadic (as most other tribes in this region were in the year 1070), pushed the Ottomans out of their original location in the Asian steppes and drove them toward Byzantium, specifically into Anatolia. After Osman ascended to power, he would soon dominate Anatolia. Under his son, the Empire would extend its reign into the Balkans and the Eastern Mediterranean. The Ottomans advanced toward Europe but were pushed back in 1444 at the Battle of Varna. In 1453, the Ottomans finally captured Constantinople, the capital of the Byzantine Empire, and changed its name to Istanbul. The threat of the Ottomans and Islam led many Orthodox (the “Eastern Church”) intellectuals and great works of classical times to retreat to Europe. As has been taught, the wealth of Byzantium stimulated the Renaissance and would eventually lead to great advances in many of the sciences. Also of note, the Ottoman Empire controlled what is today South Africa locking up trade routes to India and Asia. In 1488, the Portuguese discovered The Cape of Good Hope at the tip of Africa. It was during this time when Columbus sought to prove a Western route to India, no doubt in part to avoid the Ottomans he would have to pass by in South Africa. The abolition of the Ottoman sultanate occurred on 17 November 1922. By then, the modern Turkish leadership was hated by the Arabs, had murdered 1.5 million Armenians (beginning in 1915 and continuing until its dissolution), and had been soundly defeated in World War I having joined with “the Huns” (the Germans) in a last gasp attempt to strengthen its faltering empire. The caliphate was officially declared ended on 3 March 1924. Until ISIS declared itself a caliphate in 2014 from the territories of Syria and Iraq, few Muslims recognized any caliphate for 90 years. In summary, Ottoman Empire grew into a powerful force dominating the Middle East, the Balkans, Northern Africa, the tip of Africa, and selected other territories for several centuries. It was not, however, by any means uniformly Islamic. By the nineteenth century, Christians were thriving within the empire, creating resentment among their fellow Islamic citizens. Long before this time, certainly by the time of the Crimean War (1853-1856), the Ottoman Empire struggled to remain in control of its territories. It assumed five million pounds sterling in debt from the British in 1854. According to Eugene Rogan in his 2011 history on the Arabs, the threat of European banks was far greater than outside armies! The Ottoman government declared bankruptcy by 1875 and gave over financial control to the British and the French through the Ottoman Public Debt Administration. Nevertheless, the empire suffered ignominious military defeats to the Russians in 1877-78 and in the Balkans War of 1912-13, involving several countries (Bulgaria, Serbia, Greece) preceding World War I. The Sykes-Picot Treaty between the English and the French took what was left of the Ottoman Empire and paved the way to create new nation states after World War I, states that had little to do with ethnicities and logical tribal groups. 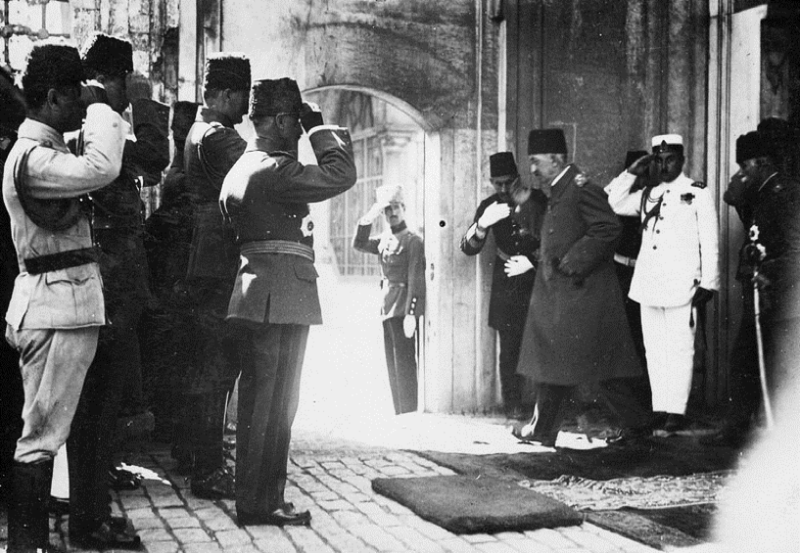 The insanity in the Middle East today owes itself in part to the dissection of the Ottoman Empire and its partitioning among the victors of World War I, led by Winston Churchill in the 1920s. (Britain as an empire was nearly broke and moved quickly to resolve the borders in Mesopotamia before America came into the picture to claim its stake in the post-war world and prime access to the strategic “black gold” so prevalent in the region). In conclusion: the world continues to pay a heavy price for the British and French colonialism during this era (along with a growing threat of the American Empire entering the mix in the 1920s). 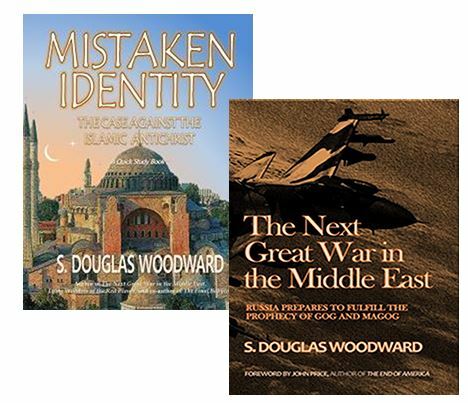 (See Appendix A: in my book, THE NEXT GREAT WAR IN THE MIDDLE EAST, to review an important article on the background to the geopolitical mess Churchill and his French counterparts made of the Middle East “The Climax of Colonialism and the Roots of Jihad”). The mess in the Middle East affects the “whole-wide world” today. We can safely bet that when Antichrist takes control and comes against Israel and “the land of unwalled villages” (whoever that may be — Israel or the United States! ), it will not be a regional only conflict. The whole-wide world will be watching. See http://en.wikipedia.org/wiki/ Caliphate#Sharifian_ Caliphate_ .281924.E2. 80.9325.29. The Sharifian Caliphate existed right after the Turkish caliphate was dissolved, but did not gain widespread recognition. The Ahmadiyya Caliphate was founded by an Indian, Mirza Ghulam Ahmad in 1908 and continues to the present with perhaps ten to twenty million followers out of Islamic population of well over one billion. In this instance it has come to be seen only as a spiritual office. See https://en.wikipedia.org/wiki/Ottoman_ Empire#Defeat and dissolution.281908.E2.80. 931922.29.